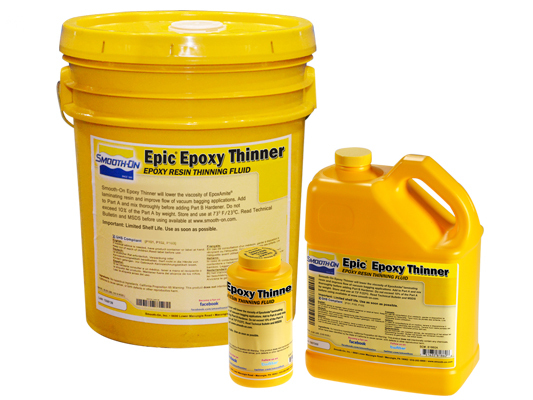 Epic® Epoxy Thinner Product Information | Smooth-On, Inc.
USAGE - Epic™ Thinner is added by weight. A gram scale is required. Read and follow directions given on the technical bulletin for the EpoxAcast™ or EpoxAmite™ product before adding Epic™ Thinner.